Fortress Of Freedom Board :: View topic - Samantha Blackwell Becomes FOF Media Coordinator! Samantha Blackwell Becomes FOF Media Coordinator! 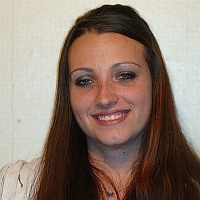 Posted: Sat May 07, 2011 9:59 am Post subject: Samantha Blackwell Becomes FOF Media Coordinator! By Maurice Ali: President, Fortress Of Freedom Inc.
Samantha Blackwell joined FOF as its new Media Coordinator and also joined the organizing committee for FOFSTOCK, a one day concert promoting Canadian music and artists held on August 1, 2011 at Yonge-Dundas Square. Samantha (or Sam was we call her) has worked tirelessly these past few months as a production assistant with us and that effort has been rewarded with her new position as Media Coordinator and joining the organizing committee with its increased responsibilities. From all of us, congratulations Samantha!